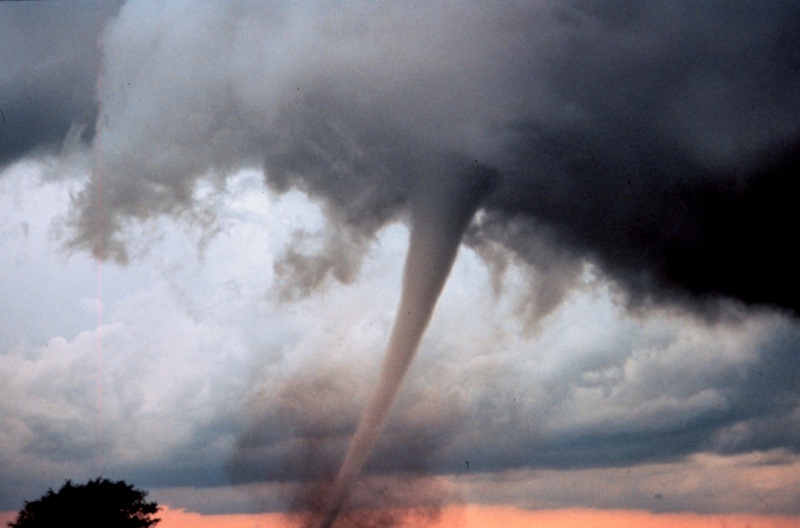 A tornado is a destructive wind. It takes years to fix the damage if a building is destroyed. Tornado Alley are the states of Nebraska, Iowa, Kansas, Missouri, Oklahoma, Texas, and Arkansas. It is often hit with tornadoes. They are more likely to get hit by tornadoes than any other state. Tornado Alley is more secure than it has been in the past. 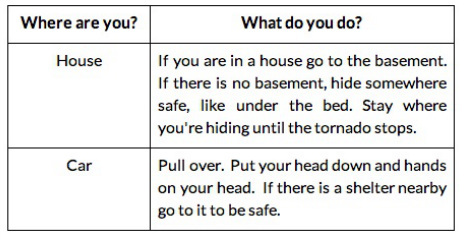 When tornadoes hit the people will be much safer in buildings with harder walls and deeper basements. 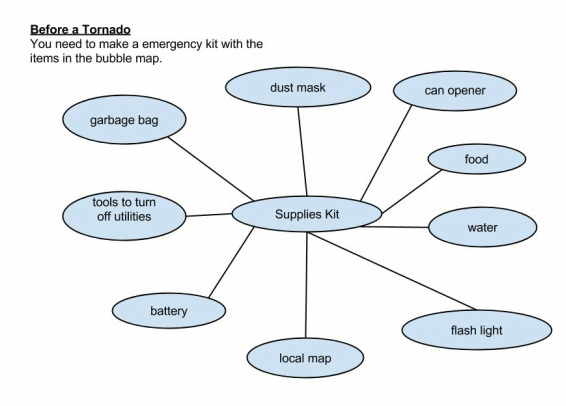 Some people are storm chasers and they study the tornadoes to warn the people when the tornado is coming. This tornado is very destructive. It destroys everything in its way. Do not drink any water because the gasses might have leaked in the pipes with chemicals. You will need water, food, a gas mask and a phone. If you need to inspect the place where the tornado hit, put on gloves, short sleeves, sturdy shoes or boots. Do not touch broken glass or rusty nails, you might get an infection. Don’t turn on any cell phones or appliances. Also don't touch the light switch to lower the chances of explosion. Learn proper safety procedures and operating instructions before operating any gas-powered or electric-powered saws or tools you need to fix the building. After a tornado, buildings are destroyed from the strong winds. After a tornado, there is a lot of broken wood from buildings.